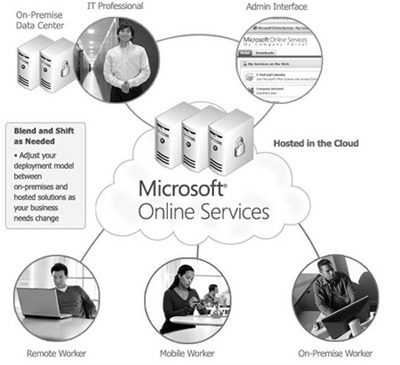 Brand New Services: Cloud Computing! Want to access and keep a backup of all your files remotely? Have a small office and want to hire some off-site workers? Why not try Cloud Computing. A cloud service has three distinct characteristics that differentiate it from traditional hosting. It is sold on demand, typically by the minute or the hour; it is elastic — a user can have as much or as little of a service as they want at any given time; and the service is fully managed by the provider (the consumer needs nothing but a personal computer and Internet access). These services are broadly divided into three categories: Infrastructure-as-a-Service (IaaS), Platform-as-a-Service (PaaS) and Software-as-a-Service (SaaS). The name cloud computing was inspired by the cloud symbol that’s often used to represent the Internet in flow charts and diagrams. 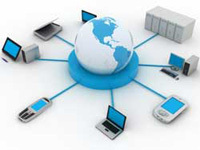 Infrastructure-as-a-Service like Amazon Web Services provides virtual server instances with unique IP addresses and blocks of storage on demand. Customers use the provider’s application program interface (API) to start, stop, access and configure their virtual servers and storage. In the enterprise, cloud computing allows a company to pay for only as much capacity as is needed, and bring more online as soon as required. Because this pay-for-what-you-use model resembles the way electricity, fuel and water are consumed, it’s sometimes referred to as utility computing.